So you’ve just moved into your new house and you have a dumpster’s worth of empty cardboard boxes. 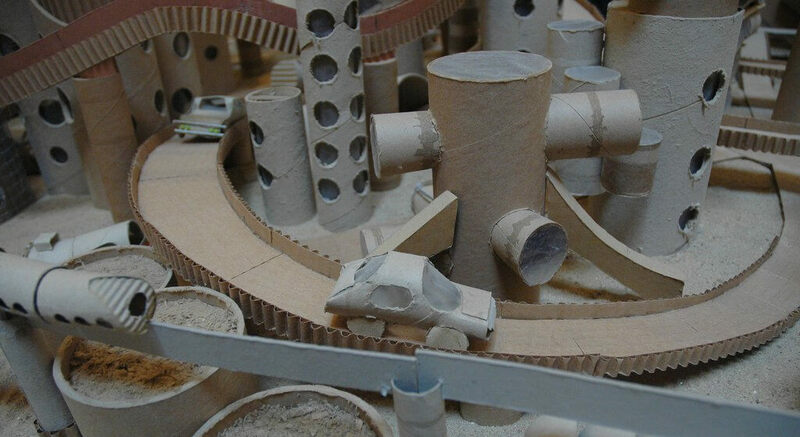 Instead of sending them out with the trash or piling them in a storage area to gather dust for another fifteen or twenty years, why not put all that cardboard to use and keep your kids busy at the same time. 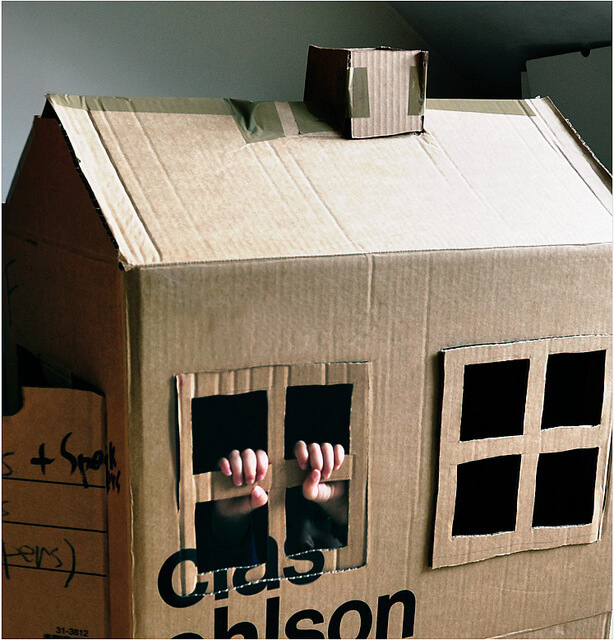 These 5 ideas will help you turn those cardboard boxes into something magical and treat your children to some inexpensive fun. It’s no secret that children love playing house and what better time to pique their interest in home building and design than when you’ve just moved into your new abode. Cut the tops off your boxes and use the bottom sections for the walls. Carve out sizable windows on the sides and a door that’s big enough to crawl through on the front. Then measure the leftover pieces and cut them to form the roof and chimney as seen below. Your child will be curling up in their new cardboard house in no time at all. 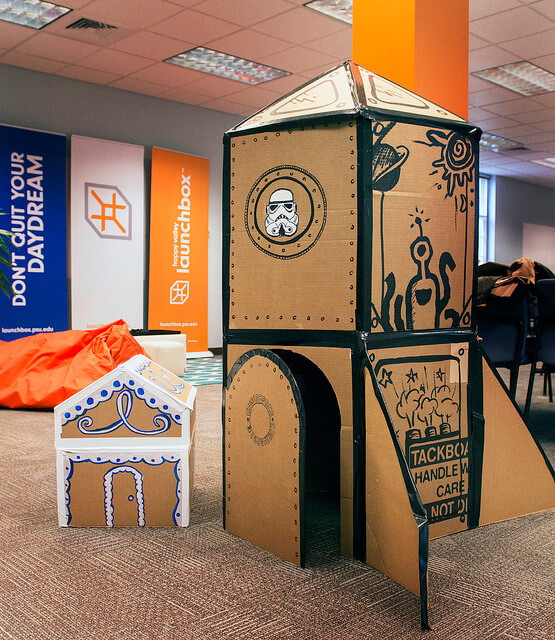 Blast off into another universe with a cardboard rocket ship. Your children have probably experienced quite a bit of terrestrial travel while moving into your new house so why not let their imaginations run wild in a creative spaceship? The example below is basically two boxes stacked on top of each other and joined together with black masking tape. Cut a door in the bottom box, attach some aerodynamic wings, and draw cute designs to make it extra snazzy. 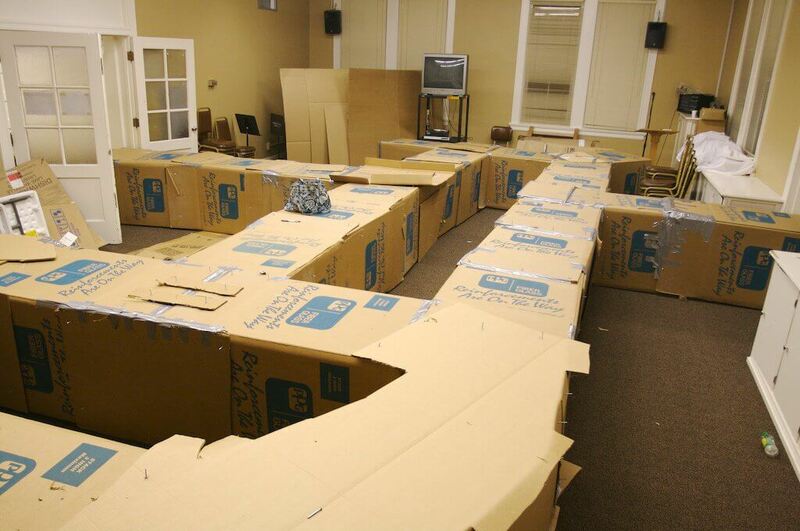 Kids can spend hours getting lost in a maze and while your house is still relatively bare, why not set up a cardboard box maze for them to enjoy? This is one of the easier designs to construct. Just place the boxes side by side, as seen below, and use them as the maze’s walls. Your kids will love finding their way to the end, just make sure you know how to find the exit. 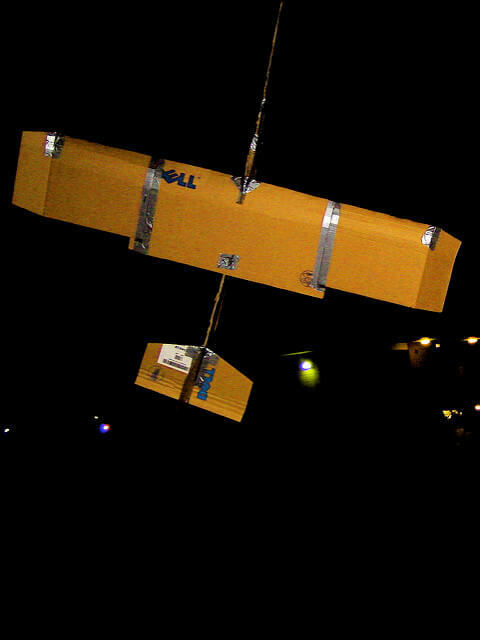 Send your children up, up, and away with this homemade cardboard airplane. Do yourself a favor and start with the wings, which will probably be the bulk of the plane. You can either cut a slit through the airplane’s body and slide them through or wrap the wings around the body for a sturdier look as seen below. Probably best not to tell them that this little beauty can actually fly though. Cardboard is a bit too heavy to take to the skies, but they can still have fun zooming it around the new house. Okay, this one might be slightly above your parental pay-grade, but why not challenge yourself? Forget about train sets, Hot Wheels tracks, or SimCity. Get out your utility knife, measuring stick and glue, and get to constructing some highways, byways, and impressive looking cardboard cars. Your children will think you’re an architectural genius and hopefully you’ll get a couple hours of rest.